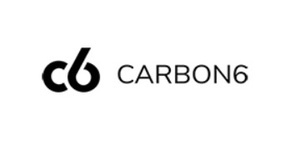 Enjoy Free Shipping on all orders at Carbon6. 20% off all Glow Rings at Carbon6. Shop Now. At Carbon6, they believe that quality craftsmanship has a look and feel that can't be mistaken. When something is beautifully crafted, you'll notice its quality every time you put it on. That's why they carefully handcraft all of their products in their Brooklyn workshop, using only the highest-quality materials, many of which are custom-made and can't be found elsewhere.